First man on moon gives rare interview to ... Australian accountant? It was one small interview for astronaut Neil Armstrong ... and one giant scoop for an Australian accountant, of all people. 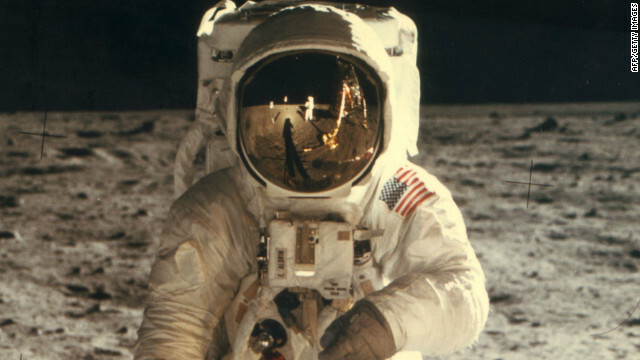 In the year's most out-of-this-world get, the first man to step foot on the moon sat down with CPA (Certified Practicing Account) Australia's Alex Malley to narrate his historic lunar landing in an extremely rare interview. Armstrong was the commander of NASA's three-man Apollo 11 mission that landed on the moon on July 20, 1969. Armstrong and fellow astronaut Buzz Aldrin spent about two hours on the surface before returning to the Eagle lunar module.